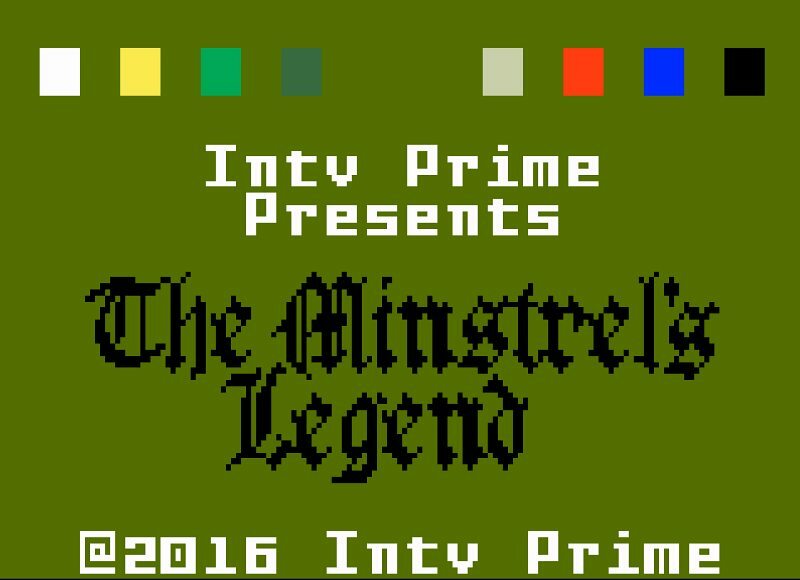 It is a rare thing to mention an open world game coming to an old 70's machine, but here we are with ' The Minstrel's Legend ', which is a brand new RPG developed by Intv Prime, that is making its way to the Intellivision. If you like games such as the Ultima series or even Nethack, then you probably know what to expect with Intv Prime's latest game, as the game mechanics are similar but instead puts you in control of a group of adventures to renew the imprisonment of the demon Xcitticx. If they cannot succeed in a few days, the demon will escape and the game will be lost.